Guy Kawasaki is and has been a great source of inspiration in my short entrepreneurial journey . I have read all his prior work and am a dedicated and avid follower of his blog. His blog is a constant stream of information and inspiration and has helped me gain much in the way of experience and insight in a short period of time. His book is essentially a collection of some of his blog’s best articles , packaged into a very readable format, perfect for referencing key topics. Due to its layout I found it hard to put down, and started highlighting my favorite topics on the first read. The book is an ideal starting point for all those starting their entrepreneurial journey. It provides great information all the way from the initial steps to take before starting, right upto making your business a success. The ideal reader for this book is someone who has a lot of questions regarding entrepreneurship and wants to demystify the topic. It provides a comprehensive manual, specially for all those who are new in the business, on important aspects such as writing your business plan, developing your product for marketing, and selling your product. For business owners who have crossed these important milestones there is some terrific information on customer service, HR strategies and raising money for the expansion of your business. It is almost like having access to a business veteran 24/7, with answers to all your queries. What I like most about the book is the way it is written. Although the book is around 450 pages long, it is divided into 94 very readable chapters, based on every conceivable subject on entrepreneurship. Furthermore, each chapter is broken down into list like summaries, which facilitates referencing and finding key points very easily. I noticed this form of writing from his blog posts, and find it not just a most effective methodology, but one that has inspired my own writing. I have tried to emulate this writing style, and it forms the basis for many of my posts last year. The book concludes with his hindsight post. This is a definitive post for me, and the one that inspired me to start this blog and document my entrepreneurial journey. I hope it will also provide you with the inspiration to go out there and achieve bigger and better things too. For those who have already read this book, what were some of your favorite topics and why? What other books on entrepreneurship would you recommend for entrepreneurs who are just entering the space? Look forward to your comments and suggestions. The feeling just before a big meeting or pitch is a most exhilarating time for an entrepreneur. The possibilities of what could be, excites and scares at the same time. There is a strange feeling inside that begins to question whether you have it in you to deliver the results or not. Thoughts of what may go wrong cross your mind, although you attempt to do whatever possible to ensure that all contingencies are put in place. Overall, with an elevated heart beat, life seems to come pleasingly alive. It’s like school all over again, when you studied for that big test and came to crunch time. 1. Do your research on all the participants of the meeting or presentation. Have you interacted with them before? What were your notes? What are they expecting? 2. What value are you providing to your client or investor? Be very clear about this, and make sure that this message is repeated multiple times during your presentation. 3. What is the agenda of the meeting? How much time have you been allocated? Do your best to plan the entire meeting or presentation down to the last minute. 4. Visualize the meeting or presentation in your head. Make a mental note of who you will be meeting or presenting to, and visualize how you want the meeting to go. Whether it is closing a customer or getting an investor, you need to be able to visualize the best case scenario. Repeat this process multiple times until you are completely confident about your delivery. Ideally, this should be done a couple of days before the big meeting or presentation. On the day of the presentation, before starting, remember to take a deep breath, and act confidently. You are now as ready as you can be for the crunch time. How do you prepare for a big meeting or presentation? Do you have a step-by-step process? Look forward to hearing your comments and suggestions. 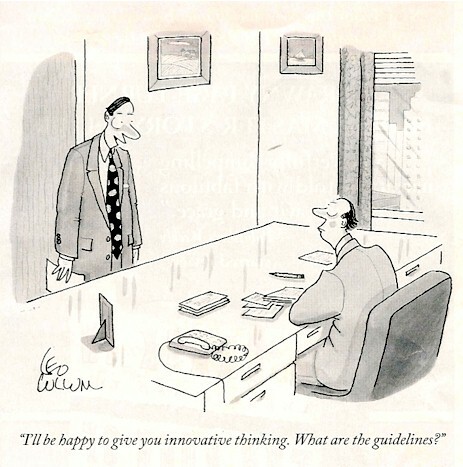 Innovation is a fascinating topic. I was discussing it in some detail with a friend a few days ago. We were talking about a particular business that wanted to bring about organizational change. The company is an SME that has been expanding rapidly due to an explosive growth in it’s segment. They now want to become an ‘employer of choice’ in their particular segment. When we delved into some of the inner workings of the business, I realized that the business had to seriously fix some fundamental structural issues before it went out to achieve challenging goals such as becoming an ‘employer of choice’. My primary concern was that the business had outsourced most of the production of its product, and had hence left itself vulnerable to attack from competitors on multiple fronts. This concern was further compounded by the fact that innovation within the firm had come to a standstill, and their product slowly becoming an easily replicated commodity. Given the state of current affairs, my advice to the company was to boost R&D funding and develop processes that would help them elicit feedback from their top customers. I have seen this scenario play out time and time again at SMEs who are currently in a boom cycle and channel their resources away from their core competencies. Goals such as becoming an ‘employer of choice’ are important admittedly, but certain processes take priority over others until a business has created a strong foot holding in its industry. What do you think? Given the circumstances should they pursue the goal of becoming an ‘employer of choice’, or should they focus on developing a stronger innovation culture within the business? A hybrid model combining both goals could also be proposed. Look forward to your comments and suggestions. I had an interesting discussion the other day regarding job roles and responsibilities. When we join an organization, we are recruited on the basis of how well we fit into a certain job description and the relevant organizational culture. The person with whom I was discussing this works as a marketing communication consultant. What made the conversation interesting was his talking about the lack of initiative by the management in bringing about change. He had been hired to infuse the organization with fresh insights and ideas regarding their brand. However, management shot down most of his proposals and asked him to recycle older work, basically, a brush and polish job. This obviously frustrated the new employee as he felt his skills were not being utilized to their true potential. The individual in this case was young, and brimming with enthusiasm about possibilities. He understood the difference between a job, and his responsibility. In the face of such resistance I wonder how long this optimism will last! When I speak to individuals who are older than the person in the example above, many of them have reverted back to ignoring their responsibilities and just getting the work done in the manner the management wants. This is when complacency sets in and we give up going against the red tape , and settle for just ‘doing’ the required manner of work. I think this is such a shame and has a definitive detrimental impact on the careers of young employees who have so much to offer. From the management’s perspective , I understand there are many factors involved in maintaining a certain brand image. However, they should find creative ways to channel the enthusiasm of younger employees through other mediums to ensure their efforts are being recognized and validated. My advice to all those currently banging their heads on how to get their messages across to management is, do not give up! It takes a lot of patience and persistence to stay rooted in your beliefs and values. However, if you continue to showcase that you have the ability to take responsibility for a job, instead of only doing what you are told, somewhere along the line someone will take notice of this and you will be rewarded. What are some current challenges you are facing at your work place? If you were able to overcome these challenges what did you do differently? I look forward to your comments and suggestions. Over lunch today I had an interesting conversation about the current economic crisis and whether the CEO’s of all these large financial corporations were in fact overlooking the risks they were taking, or, they knew exactly what they were doing when relying on the government to bail them out. In both situations, things have worked out for them for the time being. However, if they are ever to get back on track, drastic changes will need to made. The conversation then digressed towards entrepreneurs and their attitudes towards risks. Essentially we entrepreneurs find ourselves in relatively similar situations to those CEOs. The risks that entrepreneurs undertake are substantial, irrespective of how well thought out or well researched the project may be. In fact, if you put the simple analogy into perspective, that out of every 10 businesses started, 9 fail, that unbridled enthusiasm we start each venture with may be severely dampened. 1. Pick a niche that has the growth potential to provide that sort of scale. 2. Have a burning passion for what you want to do. 3. Write a business plan and articulate your vision. 4. Not be afraid to recruit people who are smarter than you. 5. Raise adequate capital from the most reputable and experienced sources you have access to. Going into a segment with your eyes closed and ignorant of the risks ahead results in disappointment and failure. A balance needs to be struck and once you find it, then go after the opportunity like there is no tomorrow. What do you think? Is ignorance really bliss? What would your advice be to entrepreneurs on the topic of ignorance or over enthusiasm? Today was one of those days when everything worked out just perfectly. My list of things to do was accomplished, I met some close friends for a most enjoyable meal and conversation was very interesting. I also had a productive meeting with a prospective client, one with major potential for one of the businesses I am involved with. Whilst reflecting on the day, I was most thankful that things were working out well. All of the things that happened today were a result of constantly working towards them and maintaining a high level of optimism. We have this ability to shape our life in the way we want it to be. We always have the choice to look at the glass half full or half empty. Our perception of the situation is definitive and changes our entire outlook. We are undoubtedly going through some very tough economic times these days. It is at times like these, that we are forced into an actual reality check about what is important in our life and what we can live without. There are some things that we cannot change and we need to accept them for what they are. We need to focus on the things that we do have control over, the way we spend our days, the friends we have and our health are some key areas. By increasing our level of control in these areas we can make enormous changes in our levels of happiness. This post may come across as over simplifying a complicated topic. However, I do believe that happiness is something that each and everyone of us does and should strive for. We all want to be happy, but many of us do not take the steps required to attain that level of happiness….you can call it contentment, inner peace, success or whatever term fits you best . Life is too short to let it slip away without taking advantage of all that it has to offer. I wish all my readers much success and happiness in their lives. If there is anything I could do to assist you in reaching your goals please let me know, I will be happy to help. The phone starts ringing, emails flood your inbox and you keep discovering connections within networks you did not even know existed previously. It is times like these when it seems the stars are perfectly aligned and things just start moving in the right direction. Momentum is one of the most powerful forces that can propel a business to new and uncharted heights. Generating momentum is not an overnight process. It takes months and sometimes years of patience and persistence. Starting a new business is exciting and most everyone experiences that honeymoon stage when everything is new and the world is full of endless possibilities. That unbridled optimism makes entrepreneurs work round the clock, and to tell you the truth, those first couple of months are just a blast. Like most upturns however there will be a plateauing of emotions, and if work has not picked up steam in the first couple of months of incorporation, optimism levels begin to fall. This is the first break of momentum that almost all entrepreneurs face, how they handle this situation is crucial to determine the fate of their business. This is when characteristics of persistence, resilience and creativity come into play. The ability to create your own momentum internally as well as for the business will distinguish you from those who gave it a shot and quit when it did not work out. We have to make a conscious effort to analyze our business daily, and continue plugging at it thereby building value for customers. By doing this, we continue the process of evolving our business and ourselves, which will ultimately lead to generation of momentum. It may be a long and challenging journey, but the level of satisfaction when you actually achieve your goals and objectives gives an unprecedented level of satisfaction, one that all entrepreneurs live and breathe for. What are some of the things you do to create momentum on a day to day basis? I look forward to your suggestions and comments. Why Are You Hiring a Friend? I wrote a popular series last year that had to do with doing business with friends and family. I shared some of the ground rules I use when doing business with them and some of my experiences . I see this inclination over and over again, we want to do business with friends because it is the easiest way to get started. There is a reasonable trust base in place in this scenario, we have a good idea about the person, and if one is observant we usually know our friend’s strengths and weaknesses. Personally, over the years, I have found the idea of working with friends and family not the optimal way to go. We hire friends and they join our teams primarily because they are our friends and we know them. A startup only needs to hire more staff or add partners when the business requires it, when there is a business need that needs to be fulfilled and is currently not being served adequately. We have to understand that a business or startup is a serious matter and not a place for friends to ‘hang out’ together. I am sure you agree there are more interesting things to do with friends than start a company. I recommend using my 8 characteristic checklist, or making your own, based on skills you require. Network excessively and find the right people, those who will bring the skills you need to the table. These will be individuals with different insights and points of views. In essence, they may have the same goals as you, but they may not be ‘like’ you. Putting an initial team together is by far the most critical step in the early stages. Mistakes at this level have enormous repercussions in the future. Do not partner with or hire a friend because they are like you, or that it is easy, make sure you do it for the right reasons. One of the first questions I ask business owners when we discuss ideas is about pain points they are addressing or want to address. When there is a long silent pause or the individual is at sea about how to answer the question correctly, it shows a lack of planning and thinking their problem through. During the course of the day an entrepreneur could possibly highlight a 100 new potential business ideas. The true test is how many of these ideas address realistic pain points that customers are willing to pay to remove. When a business has an unclear focus or is addressing a pain point in a highly saturated market, the chances of success becomes increasingly low. When generating ideas for a business you want to get into, do your best to continuously outline pain points as clearly as possible. This will be the core of your business proposition and you need to build value around it. In the case of InnovoGS a company that I am actively involved with, launched psychometrics in the beginning of 2007. The problem we wanted to address was to reduce the number of people being wrongly hired by a sizable percentage. Being a business owner I know first hand how difficult it is to manage someone who does not fit into your organization. The entire process of doing your best to make it work, and then eventually having to fire the person is a painful process. Psychometrics provides indicators to organizations to boost their ability to screen candidates prior to making hiring decisions. What we did not adequately calculate was organizational willingness to pay for this service. The product hence took longer than expected to gain traction. 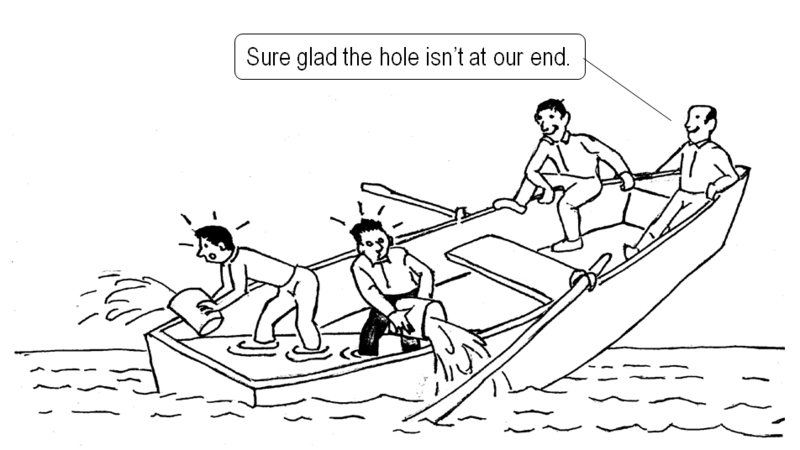 This example clearly illustrates the principle of selecting a product or service to addresses critical pain points for clients together with their willingness to pay for it. When you get both these factors correct, you are better aligned to fulfill this need and make a success of your business. If you have ever asked yourself why you work so hard, or what you really want to achieve in life, you will realize that these are difficult questions to answer. We are programmed sub-consciously, to go to school, get a job or start a business, build it, and by the time you are ready to retire you can finally exit the rat race and ‘enjoy’ life. We work within a model of ‘delayed gratification’ although in most everything else in life we want it, yesterday . It certainly makes you wonder what we are all really doing! Well Tim Ferris seems to have broken the mould, and is propagating fundamental shifts in our daily lives. According to him, by outsourcing and setting up passive income models, we can break free from the day to day stresses of life and follow our dream, all that we truly want. If what I have said upto this point interests you, I recommend getting the above book and reading it. I must admit, I picked up this book purely because of the hype it had generated around itself. I could however relate to the title of the book on some level because I have taken several steps over the past few years to develop passive income generators that allow me substantial freedom to do as I please in my daily life. I bought this book because I wanted to read how other people were doing it. 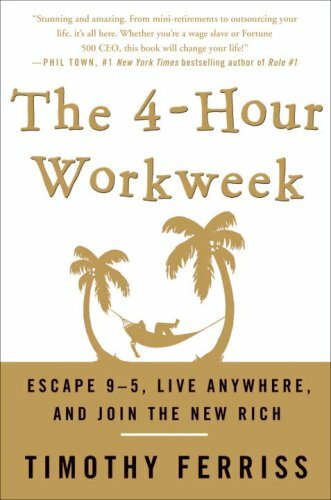 The book starts off with the author narrating his own story of slaving away as an entrepreneur without making nearly enough money,but with a high degree of stress. He goes on to describe how he broke away and managed to set himself an income through passive business models which require no more than 4 hours of attention every week. Hence the name of the book. The book is broken up into 4 sections according to an acronym the author has termed as “DEAL”. We first go through a series of steps that outline some of the differences between traditional mindsets and what the author proposes as an “ideal” lifestyle. This ‘ideal’ lifestyle provides one with much broader levels of freedom and the ability to choose to do what one loves. (Sounds ideal doesn’t it) Further chapters take you through specifics discussing strategies, setting goals, outsourcing non critical tasks and finally how to break free from the crutches of the 9-5 routine. The book covers each section in significant detail. However, individuals with limited knowledge of internet marketing may find some of the concepts and strategies confusing. Most entrepreneurs including myself, tend to get so caught up in our work that we forget to live in the moment. We delay a lot of things with the excuse that we will do it later on in life. Unfortunately, we will only be young once and if you want to go bunjee jumping, parasailing, white water rafting or backpacking through a foreign country you should be making plans to do them sooner than later.